Source: NASA Science by BestOfscience . 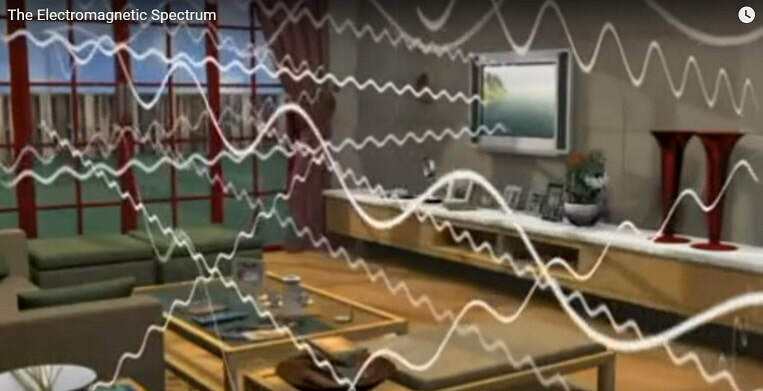 "In our everyday life we are being continuously exposed to increasing levels of a combination of static, Extreme Low Frequencies (EFL), Very Low Frequencies (VLF), electric and magnetic fields as well as Radio Frequency electromagnetic fields. These exposures are of different signal patterns, intensities, and technical applications for varying periods of time. All these fields are summarized as EMF, colloquially also referred to as “Electrosmog”. The aim of the Electrosmog Alert website is to spread the awareness of the potential harm of EMF, and how to minimize the exposure, especially in your home and around you. The website is constructed as a quick reference guide with in-depth tabs to further elaborate on this huge topic accessing some of the most prevalent work done by doctors, scientists, organizations and the like. As preventative measures for everyone, and especially for EHS (Electro-hypersensitive) sufferers and caregivers, it is my hope that this website may give you a quick overview from which you can learn and quickly act. An EHS sufferer myself, it was only recently (2014) while studying at the Australian College of Environmental Studies, ACES (education facility for Building Biologists) that a link to Electrosmog was made, and thereby explaining my increasingly poor health and never getting better, despite plenty of logged symptoms and information to doctors who sent me through numerous tests with no result for cure or explanations as to what caused the symptoms. It took two years of accredited study at the Australian College of Environmental Studies to realize what was going on in my own environment and all up three years of study, research and trials to actually understand enough to reduce/avoid Electrosmog around me. By sharing this website and my story I hope that you will look through your own environment and make sure that you are SAFE.